Gotham has already introduced a surfeit of villains for pre-Batman to not battle, so there’s nothing odd about the news that one of the Caped Crusader’s oldest foes has been added to the mix. USA Today reports that B.D. 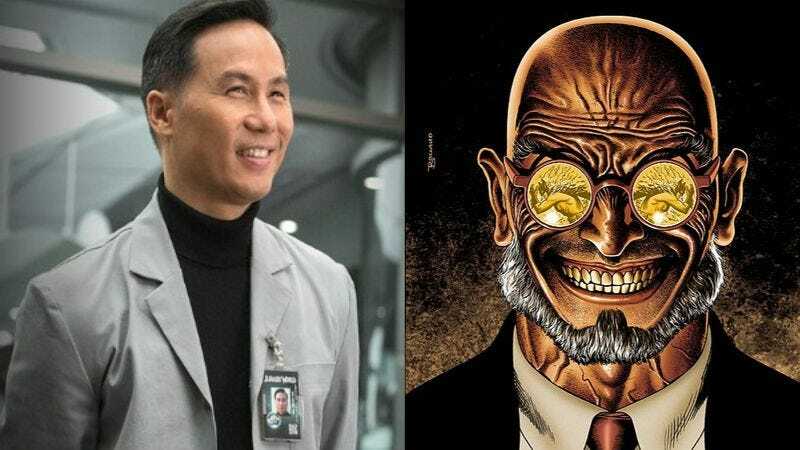 Wong (Jurassic World, Law & Order: SVU) will be doing some more weird science as Hugo Strange. As a “brilliant professor and psychiatrist,” he’ll treat the criminally insane well as experiment on them for nefarious purposes, because Ph.D.s don’t have take the Hippocratic Oath. Professor Strange (as he’s sometimes known in the comics) will reportedly run the underground lab at Indian Hill, which [spoilers, maybe?] is actually a division of Wayne Industries. And with that, the show has really driven home the whole “Batman created the bad guys” theme.